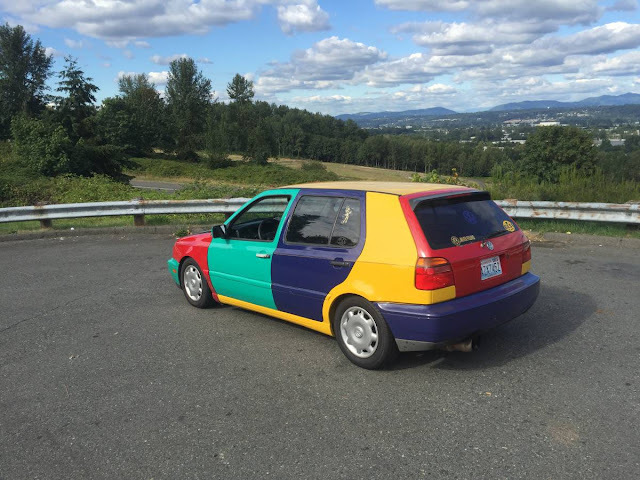 It is hard to avoid your impulsive instinct whenever you see a well priced classic, but what about the car that has been for sale for months and just never moves. Does it set off your lion impulse to chase after a wounded duck and go for blood with a serious lowball offer? 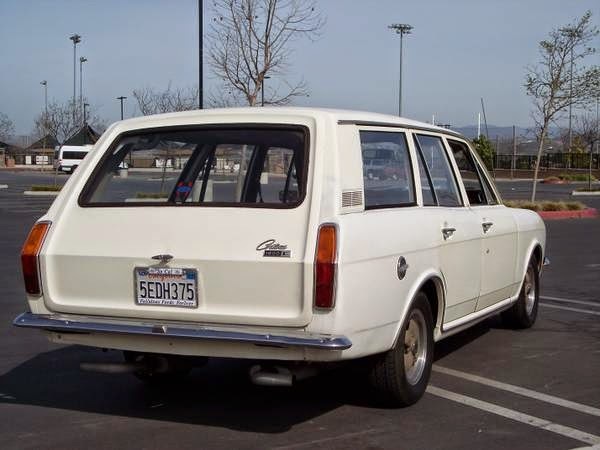 Here is today's wounded duck -- a European Ford Cortina wagon with a Ford V8 swapped into the front that has been on craigslist for almost a year. 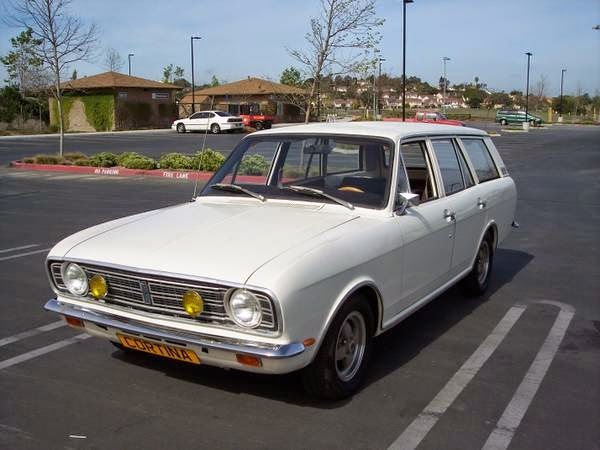 Find this 1969 Ford Cortina Deluxe Estate Mk II offered for $9995 in Vista, CA via craigslist. Tip from ANCMatt. We first wrote about this particular car in April of 2014, but it had been for sale since at least February, and the price had gone up since the first listing to $13,495. Fast forward seven months and the asking price is down below $10k, but this car remains for sale. A quick peek under the hood shows a 302 cubic inch Ford V8 taken from an 80s Fox-body or some other Ford V8 product. The seller describes the V8 build as mild, and says he used an 84 Mustang GT camshaft, so expect horsepower to be somewhere around the 175 hp from an 84 GT, maybe 200 if the carb and open exhaust loosened a few ponies. The problem with this car isn't what it has under the hood, but what it lacks. Aside from horsepower (seriously, if you are going to go through the trouble of building such a car, why not cam/heads/intake/exhaust to get easy 300 hp) this thing is also missing power brakes and power steering -- both of which would be welcome on a hot rod wagon. 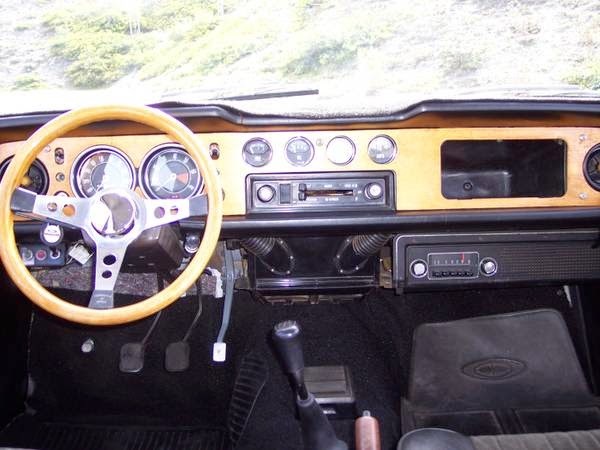 The interior isn't in bad condition, but the T-5 (presumably) manual gearbox is inexplicably controlled with a huge mastodon phallus shaped shifter. The throttle pedal is also a spindly shaped thing, but the Ford Cortina is a very light car in stock trim, so you might expect such pieces. Well, maybe it is just because my first car was a Cortina Mk2 GT, and my second was a Datsun 510 wagon, but I like this thing. Sadly, I do not like it $10K worth. I most certainly do NOT like the single master cylinder setup, but then I have driven many potential death-traps in my life, and I am getting on in years..... this might help deal with that pesky retirement shortfall. I wish it was more like $5999. I would be very interested at that price.